Spinach Artichoke was good pick as appetizer. It was my first time having it and it did not disappoint. It was creamy and one would not realize that this dip is purely made of vegetables. 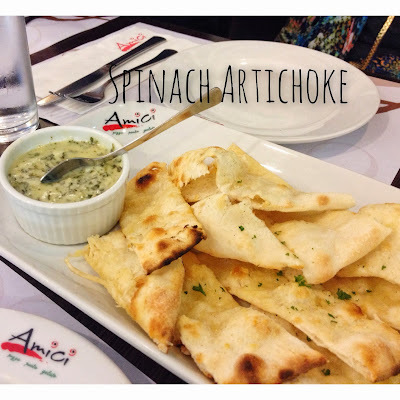 I think non-vegetable eaters may enjoy this. Ragu Alla Bolognese is a red sauce pasta. I know that most Filipinos liked red sauced pasta more that the other. But this Ragu pasta is a disappointment. It was dry and lacking flavor. As a foodie, It brings me joy to try a new food/cuisine for the first time, anticipating thet burst of flavors the food may bring. But tasting Ragu the first time did not leave a good impression on me. Tutta Carne Pizza is an all meat pizza. 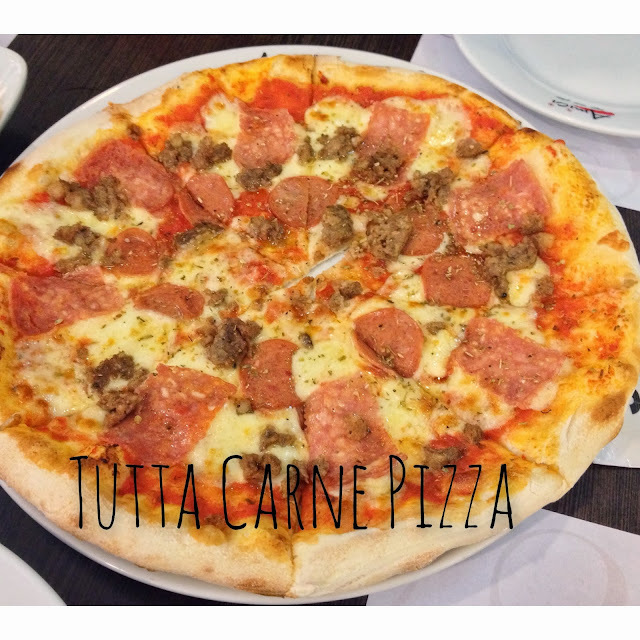 This is tasted good and really meaty. It's best to consume it while its still hot to better enjoy the pizza. 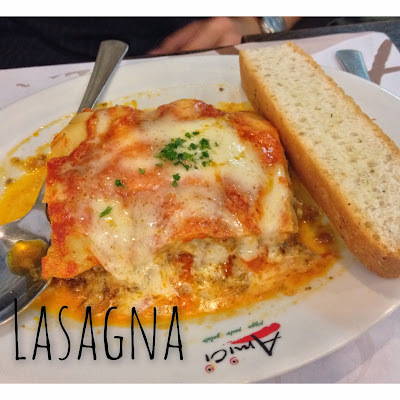 Lasagna is Amici's bestseller but the serving was a bit small, just enough for one person. 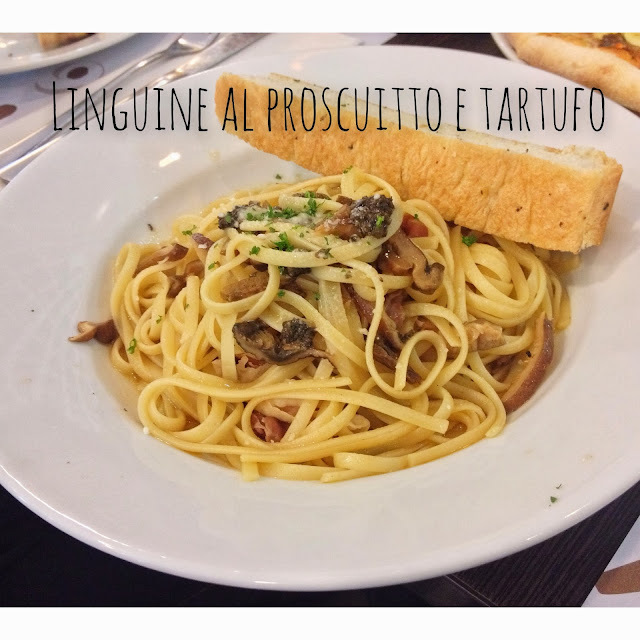 Overall, I loved the Linguine al Proscuitto e Tartufo, pasta with truffle oil is the best. I'll definitely keep it in mind to try more dishes with truffle oil . The Ragu pasta was a disappointment. Anyone who knows a place who serves good Ragu pasta? 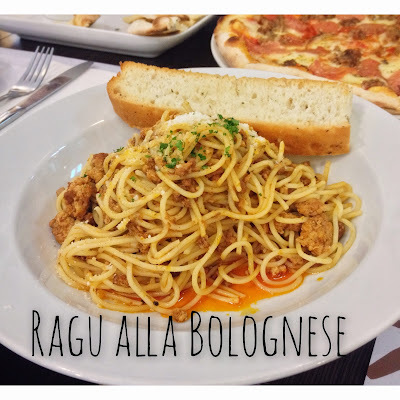 I want to give Ragu a second chance.